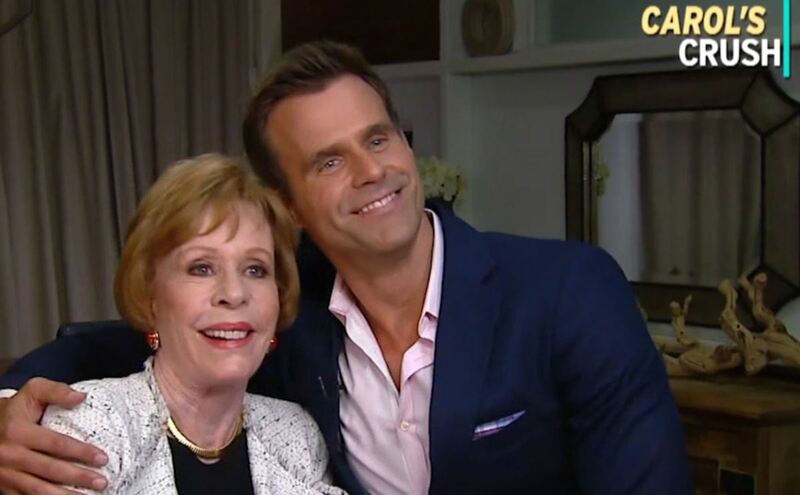 All My Children super fan and guest star Carol Burnett (ex-Verla Grubbs) reunited with former Pine Valley hunk Cameron Mathison (ex-Ryan Lavery) on Entertainment Tonight. Of course the pair had to reminisce about their mutual love for all things Pine Valley. Burnett, whose new book, In Such Good Company: Eleven Years of Laughter, Mayhem, and Fun in the Sandbox, was released on September 13, recreated classic soap tropes "The Soap Opera Stare" and "The Soap Fake Slap" with the actor and TV host.